We are about to do our third Lego party this week.... so I guess it's time for us to share some photos of this fabulous theme. 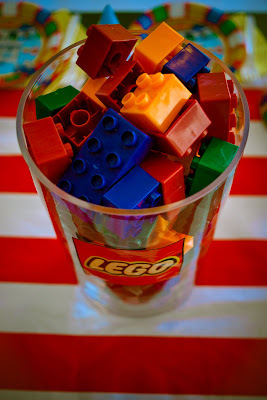 Nothing get's little big brains turning like a bunch of legos!!! 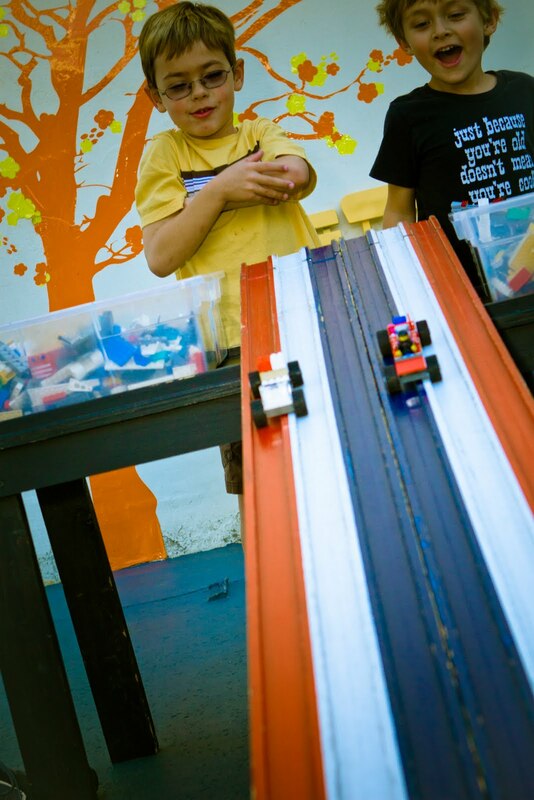 My kids adore them -- following the instructions to create cool things and - better yet -- just letting their imagination run wild by building something from scratch. Legos are amazing! And they are gender neutral -- one of our favorite things at the COOP! 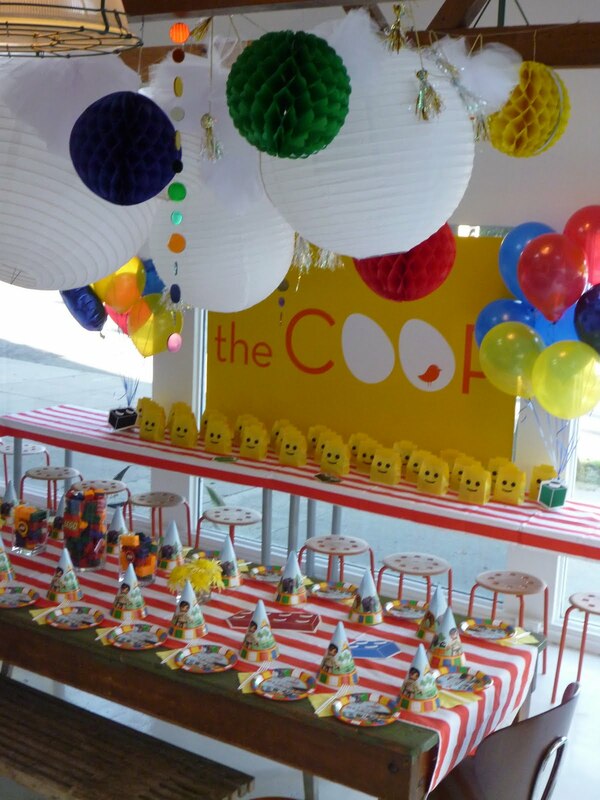 For the Lego theme party -- we did some cool tall cylindrical vases filled with Legos (well-- they are actually the larger Duplos....) as the centerpieces on the main table with red and white graphic tablerunners, primary colored balloons, lego plates and hats for everyone.... we also used wall stickers of legos and put them on the table runners to make it super Lego-ie! 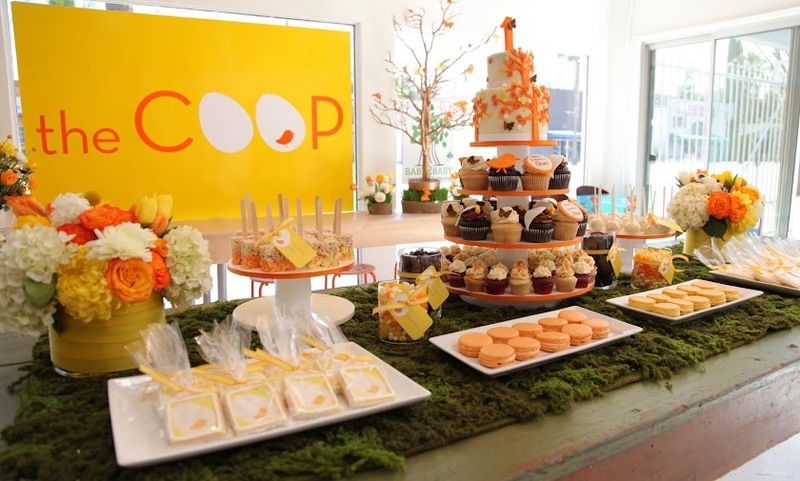 Very simple and clean looking -- another COOP favorite! 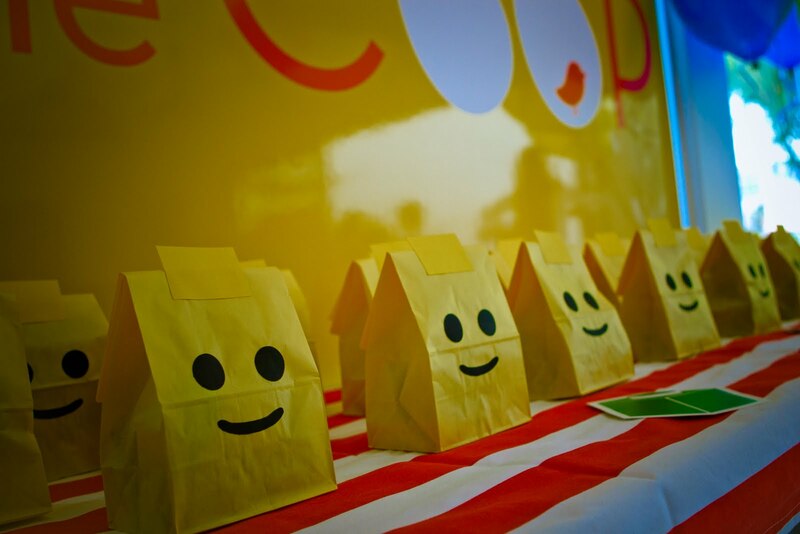 My FAVORITE part of the party were the super adorable lego goody bags -- which were custom made to look like the little yellow Lego heads. Aren't they fab!! I really loved how they turned out. The bags were filled with a small lego, a primary colored punching balloon and these great crayons in the shapes of legos and lego people. At the party pictured above -- we also hired the "Lego guy" -- who came with loads of legos and tracks and all sorts of cool stuff which kept the kids creating for hours! 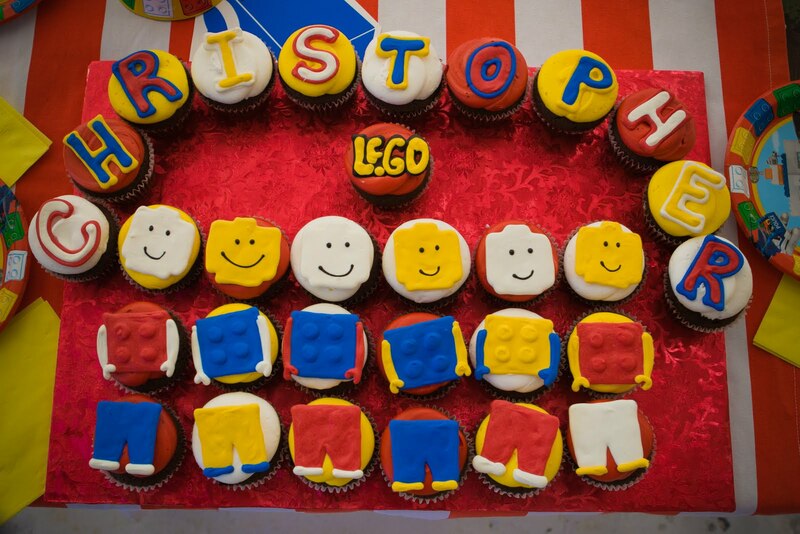 Bravo Lego --- almost 70 years after they were founded kids are still building parties around this fabulous toy!